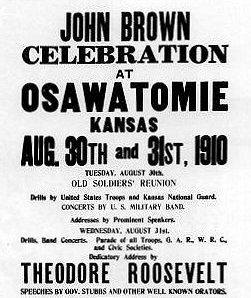 And Osawatomie, Kansas, where President Obama spoke yesterday is associated with . . . ? This entry was posted in John Brown, Obama, Osawatomie. Bookmark the permalink.